When I joined the lab in 2011, only three types of bacterial microcompartments (BMCs) were known: the carboxysome, the propanediol utilizing BMC, and the ethanolamine utilizing BMC. However, there were genomic clues that there were far more functions than just three (see Cheryl's 2010 Review). I went ahead and (idiotically/smartly) chose one of the stranger BMCs with no obvious predicted function, which happened to be almost exclusively present in the Planctomycetes, which is a phylum of, let's say, non-traditional bacteria. After a couple years of hard work, I discovered that the Planctomycete BMC is involved in degrading (at least) two sugars: fucose, and rhamnose. But so what? Why do they need to degrade these two sugars? Well, it turns out that fucose and rhamnose can be major components of sulfated polysaccharides, which are predominantly found on algae. For example, fucoidan is made by some macroalgae (one example being kombu - the seaweed in miso soup), and is composed of 95% fucose. Also, many Planctomycetes have been found associated with algae (also see this recent review), so it seems like there is a Planctomycete-algae ecological connection, which could involve the BMC. Sure enough, Planctomycete BMC mutants cannot grow on fucoidan. This project has gotten me more interested in the diversity of BMCs: what other functions do they have? What microbes have them? Why do the microbes have them? What is the ecological relevance of BMCs? 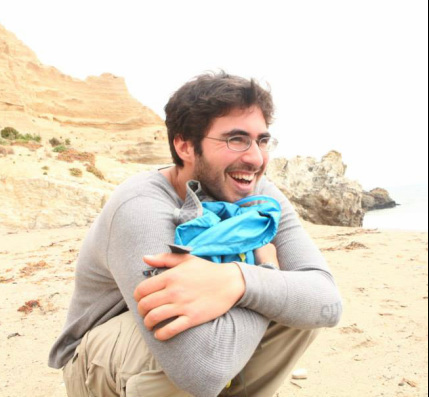 Seth Axen, another lab member, has developed an algorithm to mine through the thousands of sequenced microbial genomes and find and categorize genetic loci with the potential to form BMCs. We are currently going through these categories and describing who has them, how they are different from one another, and what their functions may be. Now in 2014, just three years after I joined the lab, it looks as though there at least 13 different functional types of BMCs! There may even be more that we haven't discovered yet! I am also a member of an international collaboration to optimize photosynthesis in order to feed the world! This is a multifaceted project that involves computational modeling, transporter analysis and engineering, as well as engineering protein scaffolds to form assemblies of carbon fixing enzymes. My roles in the project involve trying to manipulate a light-driven pump to transport bicarbonate, and engineering a protein scaffold to link RuBisCO to enzymes that produce carbon dioxide.